Unlike “Direct Writers”, whose agents may only sell the products of one company, as an independent agency, we are free to offer Dealers competitive insurance products and services from a wide range of companies. 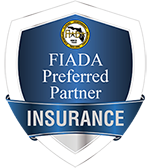 We carefully select the companies we represent and are able to offer competitively priced products from a wide variety of “A” rated insurance companies for virtually all of a auto Dealers insurance needs. We understand the Garage Liability, Workers’ Compensation and Employee Benefits insurance that all Dealers need to protect their Dealerships and their employees. We also know that Dealers are very much in the business of selling Credit insurance, GAP protection and Extended Service Contracts to protect their customers. We have the most competitive quality products available anywhere. We have been specializing in providing insurance to auto Dealers for over 25 years, so we understand the unique challenges they face and we have the best insurance and risk management solutions for all of their needs. We have included many pages and links in this web site that are designed to help Dealers, General Managers and CFO’S make informed purchasing and risk management decisions. The Risk-Management pages in this web site are password protected. Passwords for these pages are available only to Dealers or Dealership Management responsible for making decisions regarding insurance. So, if you have a question regarding a Dealer license bond, a Dealer owned warranty company or any other kind of insurance or risk management service, give us a call and put our years of experience to work for you. Dealers Insurance Services LLC is a Division of O’Connor Insurance, Inc.